As the (Northern hemisphere's) summer came to a close, and those of us with children started to get ready for another school year, we eked out some good work during the month. Lee Nakamura worked on the Autocomplete Deluxe module and joined as a co-maintainer to build a stable release for Drupal 8. Mark Shropshire dug into the General Data Protection Regulation, aka "GDPR", from the European Union, which is important for some of some of our larger clients. I added an option to Download Count to make it not log everything to watchdog and rerolled a patch for PHP 7 compatibility. I also wrote the OTL Logout module and released a rudimentary v1.0 for Drupal 8. Matt Davis continued working on all things decoupled. Along with working on the API-First initiative, Matt got his first pull request accepted into the exceedingly popular Angular library, had a presentation accepted for DrupalCon Vienna, and was a founding organizer of the month's Decoupled Dev Days event, more of which can be read later. I gave a contrib-focused presentation to the Drupal community's accessibility group. I also continued working to fix some bugs and tests on Metatag for Drupal 8 and coordinated the Views 7.x-3.18 release. Mario Hernandez explained how to use component-driven design processes. The Dropcast team was joined by Mark Shropshire, Townsend Security's Luke Probasco and Lockr's Chris Teitzel for a chat about security. Bill Shaouy joined Mark Casis for a Friday 5 about business analysis. Matt shared some insights into the planning for Decoupled Dev Days while Megan Hofmeyer gave details of the presentations that Mediacurrent's staff would be giving. Melissa Bent dove into how to build REST endpoints on D8. Donna Bungard gave some history of her Accessibility Rights and Responsibilities Document. Sam Seide showed how to connect a Drupal 8 site to Alexa, opening some interesting possibilities. Peter Mallett discussed some thoughts about Typescript and Drupal JS behaviors from the Dinosaur JS conference he attended. Our esteemed Marketing Director, Megan Hofmeyer, joined Markie for a Friday 5 focused on field marketing. Josh Linard gave us his "3x C's and 1x D" of decoupled sites. 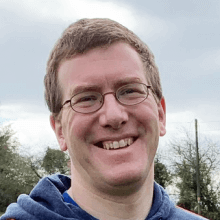 Dave Terry shared some thoughts on a topic that is near and dear to my heart - why companies should support Drupal and other Open Source Software. I explained why sites should use advanced search systems like ApacheSolr. August saw the Decoupled Dev Days event land in NYC. After months of planning by Matt Davis, Bob Kepford, Mark Casias, Phase 2's Annie Stone, Acquia's Preston So and Matthew Grill, NBCUniversal's Alexander Ross and Major League Soccer's Brian Azna, the single day conference was a huge success. The day covered many interesting topics, from virtual reality, to building administrative interfaces, to various distributions available to build from, and on, everyone had lots of great things to share and learn from. We're excited to see future events from this group as the technologies and capabilities expand, but to keep us "contenta" (do you get it?) they've made videos of the day's presentations available for all. That's it for this month. I hope you all had an excellent summer if you live in the north, an excellent winter if you live in the south, and if you live in the tropics - well, just be careful with those tornadoes and typhoons!